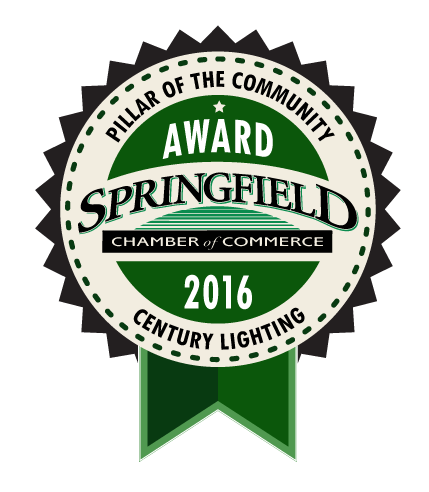 Making a difference for the businesses we serve, Century Lighting is dedicated to providing quality products, maintenance, and energy efficient lighting upgrades. Our dedicated staff has more than 100 years of combined industry knowledge and expertise providing us the ability to assist businesses of all sizes with their luminary needs. When you call us, Century Lighting, be confident that our mission is to make sure that your business shines in its very best light! Favorite Project(s): Transforming our company to a team, where everyone is important and has gifts and talents to be shared with the team, our customers and the community. Best part about working at Century: Working with an incredible staff who are willing to be open to trying new ways of doing business. When I'm not working I like to: Spend time with my grandkids, traveling, biking, walking and volunteering. Favorite Project(s): Each project that I hear from the customer about the difference we have made for them is a favorite. From “happy lights”, to improving safety and visibility and their cost savings on energy and maintenance. Best part about working at Century: Our staff, they truly care about our customers and providing the very best products and service. I also enjoy talking to our customer’s either on the phone or if I meet them out in the community and they tell me the difference our staff has made for their businesses. My passion: I love educating others on the importance of light for all aspects of our lives, The light we are in all day has an impact on how well we sleep at night, it effects our productivity, our well being, all of our hormones. I am especially passionate about how light can improve the lives of Seniors and those living with Alzheimer's and other dementia disorders. Check out my Lumen Element site for more information. Favorite Project(s): The day to day activities. Every day I learn something new! Best part about working at Century: Working with our fabulous staff and getting to speak to our friendly customers. When I'm not working I like to: Spend time with my family, read, play word games and go to the coast. Best part about working at Century: The people! The perfect combination of easy going and professional. When I'm not working I like to: Travel with my husband and take family vacations. Singing at church and spending time in the garden with my cats. Favorite Project(s): Van Vleet Meats a recent project where we updated their walk-in freezer and cooler rooms using LED’s, the change was dramatic. Best part about working at Century: The teamwork philosophy of Century is very important, especially for those of us who are out of the office working with customers all of the time. When I'm not working I like to: Play tennis, running and biking in the summer time. I am looking forward to doing more long distance traveling in the future. Favorite Project(s): All of them. Each one has it’s own challenges and when a project is completed and the customer is happy, I know that we have done our job. Best part about working at Century: Family owned, we are a small company that is high volume and it takes all of us to make sure each job is completed. I love being able to go into the field and interact with people and help them with any and all of their lighting needs. When I'm not working I like to: Spend as much time with my family as possible, we love the outdoors and traveling. When I can, I also coach high school baseball and volunteer in the community. Favorite Project(s): BLM It was a smooth and productive project. I enjoyed working with Guy to complete the project. Best part about working at Century: Great staff! Monday morning all staff meetings discussing past and future projects. Very family oriented! When I'm not working I like to: Spend time with my wife and my children. I enjoy camping, fishing and working on my Chevelle and going to all local car shows and the drag strip with my family! Favorite Project: ElderHealth & Living, installing Human Centric lighting. Best part about working at Century: Co-workers helping each other out. As a technician, there’s never a dull moment in the field. Always learning something new. When I'm not working I like to: Spending time with my family, being outdoors, projects around the house, church and youth group. Favorite Project: I enjoy projects that are more involved, including emergency egress lighting. Best part about working at Century: Working in the field. When I'm not working I like to: When I’m not at work I do outdoor stuff with my Australian Shepherd. I race downhill mountain bikes in the spring and summer, in the winter I snowboard avidly.